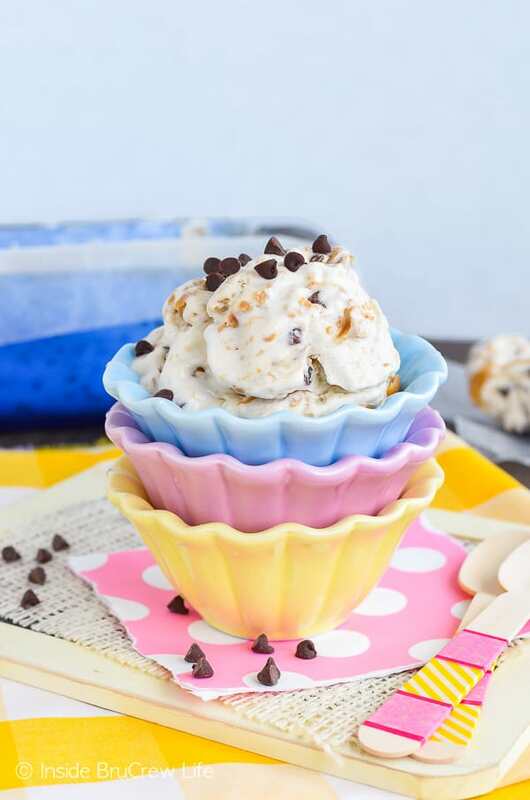 Swirls of peanut butter and chocolate chips make this Peanut Butter Banana Ice Cream a healthy treat to indulge in when you are craving something sweet. Freeze the extra ripe bananas on your counter, so you can have a bowl anytime. If you have been reading our blog for any length of time, then you know that I am very particular about bananas. If I am going to eat them, they have to be almost unripe. In fact, I prefer them slightly green. My husband can’t believe that I like bananas to crunch as I pull the peel off and bite into them. I think it still grosses him out after 19 years of marriage. As soon as the bananas ripen, I won’t touch them with a ten foot pole. They are fair game for anyone to eat at any time. Of course, now that our oldest has gone to college, the banana consumption in our house has gone down a lot. Turns out that he was the one that was helping me finish off all those ripe bananas. Now bananas just sit on the counter until they turn brown. This is when I will touch them again. Oh, not to eat. No way josé! 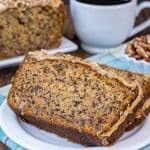 I just can’t do the taste of ripe bananas, unless it is in tropical banana bread or this zucchini banana cake. 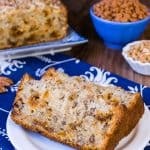 In fact, I love baking with banana so much, that I think it’s probably the most used ingredient on this blog. Although, don’t hold me to that because there is a whole lot of chocolate and peanut butter going on here too, so it could be close. If I am not in a baking mode when the bananas are ripe, I freeze them for smoothies or ice cream. At the moment, this easy ice cream is our daughter’s favorite late night snack. Yes, even when it is cold outside. Usually I make this version and keep it in a container in the freezer for her. But sometimes I forget to make it, so she has learned to make a super simple one serving version that can be ready to eat in less than two minutes. I have the longer and shorter version listed in the recipe card below. 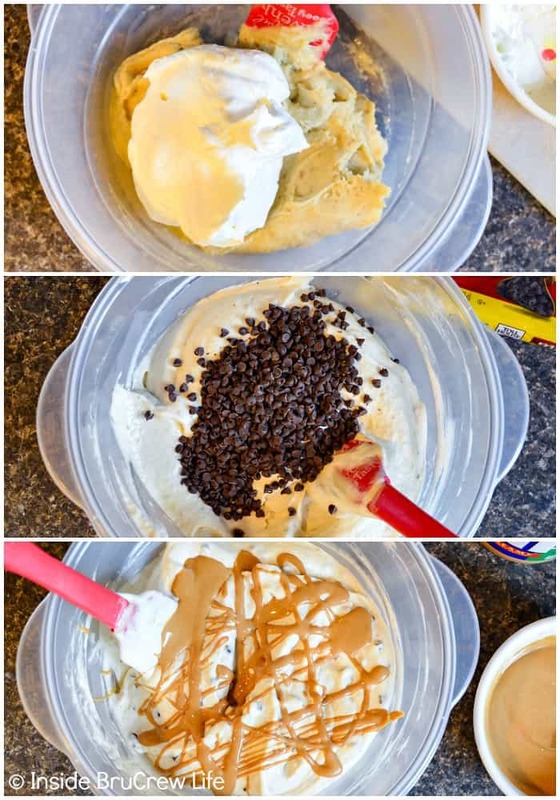 Frozen bananas make this easy peanut butter banana ice cream a great treat when you are craving something sweet. Place a metal bowl and wire whisk attachment in the freezer for 10 minutes. Whip the heavy whipping cream and sugar until stiff peaks form. Slice the frozen bananas so they are easier to pulse in a food chopper. 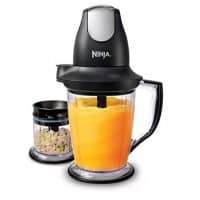 Continue pulsing until the bananas become creamy. Be patient and keep blending until it happens. Fold the whipped cream into the mixture. Stir in the chocolate chips gently. Heat the peanut butter in the microwave for 30 seconds. Stir and drizzle a few teaspoonfuls on top of the frozen banana mixture. Let it harden before folding it in. Spoon one third of the mixture into a loaf pan. Drizzle with peanut butter. Repeat two more times. Freeze for at least four hours before serving. 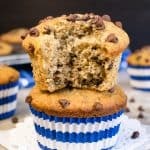 Super easy version: pulse one frozen banana and one tablespoon peanut butter until creamy. 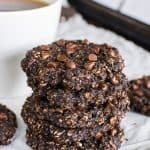 Stir in one tablespoon chocolate chips and eat right away. 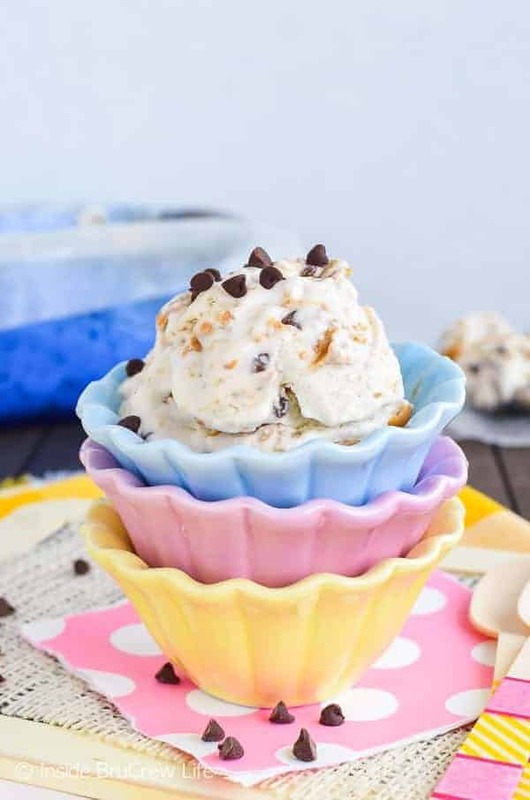 Swirls of peanut butter and chocolate chips make this Peanut Butter Banana Ice Cream a great treat to indulge in when you are craving something sweet. 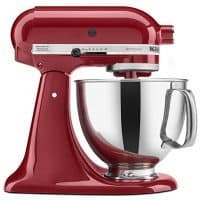 Place a metal mixing bowl and whisk attachment in the freezer for at least 10 minutes. Line an 8 1/2 x 4 1/2 loaf pan with parchment or wax paper. Beat the heavy whipping cream until stiff. 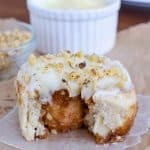 Pulse the frozen banana slices in a food processor until creamy. Fold in the whipped cream. Stir in the chocolate chips gently. Place the peanut butter in a microwave safe bowl. Heat for 30 seconds. Stir until melted and creamy. 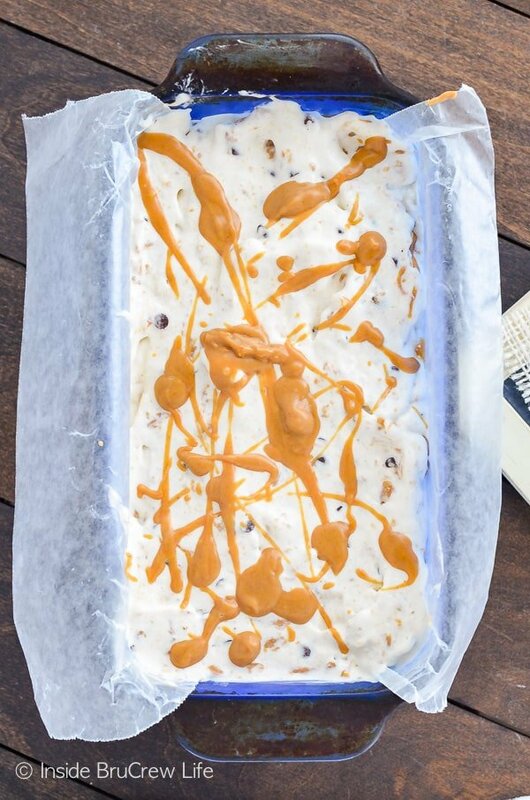 Drizzle a few teaspoon full of melted peanut butter over the banana ice cream. Let it harden, and then fold it in gently. Spoon a third of the mixture into the prepared pan. Drizzle peanut butter over the top. Repeat 2 more times ending with peanut butter drizzles. 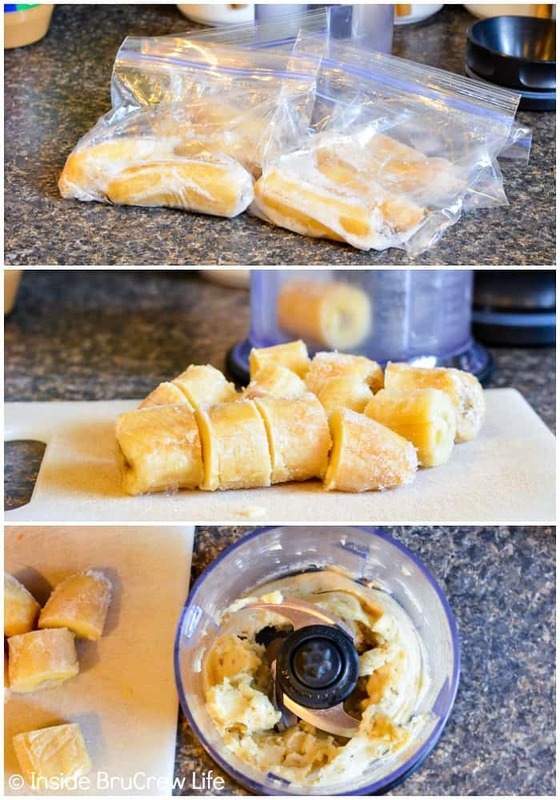 Freeze for a few hours or until completely frozen. Let it sit out for 5-10 minutes, so you can scoop it easier. 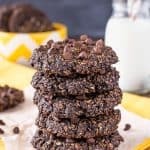 *If you want to eat this right away, make 1 serving. Blend 1 frozen banana and 1 tablespoon peanut butter until creamy. Stir in 1 Tablespoon mini chocolate chips. Eat immediately. **To cut out calories in this dessert, use 2 cups fat free Cool Whip instead of the whipped cream. 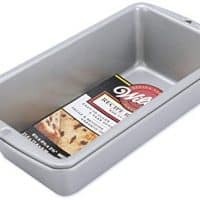 Wilton Recipe Right Medium Bread Loaf Baking Pan - 8 1/2" x 4 1/2"
I love banana and peanut butter. One of my all time favorite flavor combos. This is wonderful!